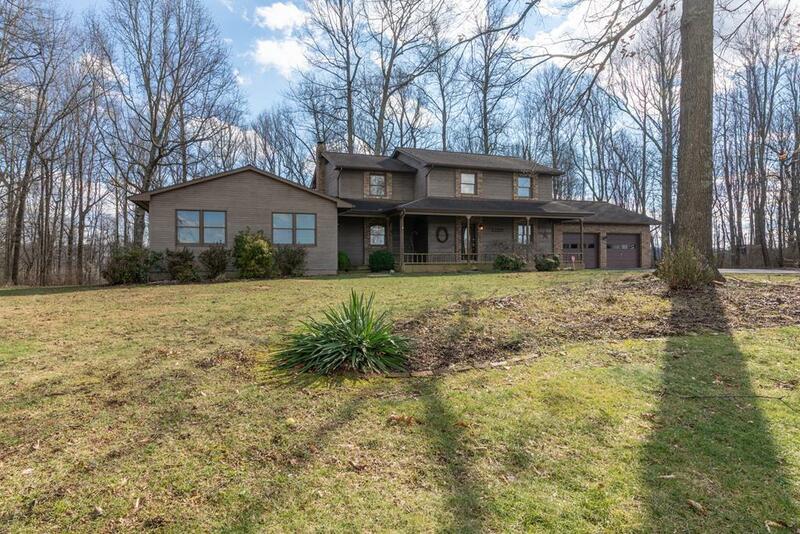 17814 Old Jonesboro Road, Abingdon, VA 24211 (MLS #67956) :: Highlands Realty, Inc. There is lots to love about this two-story home on two level acres, conveniently located between Abingdon and Bristol. Enjoy pastoral views from the covered front porch, along with lovely natural and professional landscapinig. The back yard offers a partially wooded, semi-private park-like setting with a storage shed and fire pit. The entire home has been updated including new kitchen with granite counter tops, island, custom cabinets, stainless appliances, new interior doors throughout, crown molding, new hardwood floors and remodeled bathrooms. The gas log fireplace and unique reclaimed wood wall make the huge GREAT ROOM an ideal spot for entertaining family or friends. The large, open, walk-out basement can be used for many purposes, can be accessed from inside the home or from a separate back entrance, and includes a half bathroom. The two-car, main level attached garage provides ample room for cars and additional storage, plus an outdoor storage building for lawn mower and tools. Listing provided courtesy of Tanya Upton of Highlands Realty, Inc..